Interested in “Gabriel’s Revelation”? Download the two definitive articles on this artifact, now on display at the Israel Museum. Download Gabriel’s Revelation and start receiving Bible History Daily — both absolutely free! In this free eBook, discover the meaning of the inscription of “Gabriel’s Revelation” on a first-century B.C. “Dead Sea Scroll in Stone.” Read the original English translation of “Gabriel’s Revelation” along with the article that made scholars around the world reconsider links between ancient Jewish and Christian messianism. The whole world is talking about “Gabriel’s Revelation.” Israel Museum curators have called it the most important document found in the area since the discovery of the Dead Sea Scrolls. The script dates to the turn of the era—just like a Dead Sea Scroll. The inked writing is laid out in prepared columns—just like a Dead Sea Scroll. The text contains Bible-like prophecies—just like some of the Dead Sea scrolls. But this document isn’t a “scroll” at all—it’s a stone slab! This FREE eBook shares the two definitive publications on an artifact that has led Biblical archaeologists to reconsider ancient Jewish perceptions of messianic figures. Published just in time for the Israel Museum exhibit “I Am Gabriel” A Scroll in Stone from the Time of Herod, this eBook provides translations and contexts for the artifact and contemporary belief systems. 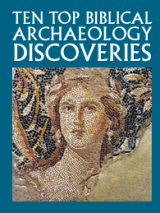 Ada Yardeni’s Biblical Archaeology Review article “A New Dead Sea Scroll in Stone” was the first publication of an English translation of the artifact in 2008. Later that year, Israel Knohl’s BAR follow-up “The Messiah Son of Joseph” caused an enormous stir, as Knohl deciphered a line reading “In three days, you shall live.” Knohl understood these lines from “Gabriel’s Revelation” to mean “in three days, you shall return to life (be resurrected).” Knohl’s translation and discussion, reprinted in full in this FREE eBook, have been a subject of recent discussion in international publications from The Telegraph to Fox News. Knohl’s translation of the first-century B.C. inscription on “Gabriel’s Revelation”—and its revelations on Jewish messianism—pre-date the life of Jesus. What does “Gabriel’s Revelation” tell us about the Jewish concept of a messiah leading up to the life of Jesus? 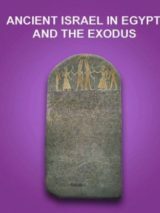 Download this FREE BAS eBook to read Ada Yardeni’s analysis of the artifact, and Israel Knohl’s discussion of the Jewish origins of a suffering Messiah and resurrection on the third day. 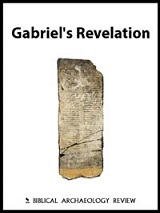 We’ll send you a link to download your copy of Gabriel’s Revelation and offer you a FREE registration to the Bible History Daily newsletter, bringing the world of the Bible and archaeology directly to your inbox. Your FREE registration to Bible History Daily introduces you to community discussions on fascinating topics like the Dead Sea Scrolls, top Biblical archaeology discoveries, ancient Israel and Easter. Dr, it is hardly a wild theory, and is simply more evidence to verify what the evidence is already showing. Be it Philo and his logos or the fact that there were no people calling themselves Christian until at least the fifth century. That is, all early artifacts show Chrestians the followers of Jesus Chrestos(Jesus the good). Including Tacitus, Suetonius, Oxy Papyri, inscriptions, Justin Martyr, and Codex Sinaiticus. It is not until Codex Alexandrinus that we see the first use of the iota instead of the eta. There is of course the intermediate use of Chreistians in Bezae, and Vaticanus. Now we just need some sensible dating of the Gospels and Paul, that do not contradict what the church fathers and history state. We all understand it is hard when the truth refutes a belief you may have invested a large portion of your life into. But the truth is more important than a dubious tradition kept by people who have shown no issue with dishonesty.. I write to you, Apa Theon, I, Heras, a ChrEstian, greetings in the Lord. I send your slave Heortasius. According to custom grant him anything that you have. This you will find from before the Lord. Once you date something you must make all things conform to the date. No one can be sure when this Gabriel’s Revelation was written. It is assumed without valid proof that since it was found with the Dead Sea Scrolls (DSS) that it must have the same time of origin. The date of the DSS cannot be verified. Even using the carbon and argon dating methods they do not agree and allow for a very large time frame. A time frame that can date from 100BC to 200AD. Many automatically want these to be pre-Jesus so they date them accordingly. Once this guess time has been selected it is easy to fit the Gabriel Revelation into the matrix. Then claim Jesus and Christian messianicism was predated and the figures and people copied or stolen. Then the attack against Jesus and Christianity is held credible. Then true. Then copied, cut and pasted as historical fact. All built upon suppositions and guessing. Where are the Jewish sources separate from this wild theory to validate these claims? They are not found in the Toldoth Jesu. They are not found in the writings of the anti-christian polemics of men like Trypho and Celsus who stopped at nothing to dredge up lies and accusations then existing. There is graveyard silence about any prevailing accusations from Jews that Jesus and Christianity were stolen or usurped from the Dead Sea Cult group. The Dead Sea cult did not exist in a total vacuum of secrecy. These zealots were well known. My point is this: the Gabriel Revelation could be no more than a gnostic capture of Jesus and Christians and written during the era of Petra habitation and post 70AD destruction. Plenty of time to create both this alleged stone scroll and all of the Dead Sea Scrolls and other occult writings found there. A complete indexing of all the documents found there and their dates has not been done as of November 1, 2016. This is corroborating proof that the story of Jesus was pre-dated by an earlier messianic story originating from the area from which the Dead Sea Scrolls emerged prior to the birth of Jesus. This same area was the place from which John the Baptist emerged. The story of Jesus and this story on this ancient tablet, pre-dating Jesus, highlights the Messiah opposing Roman occupation, the death of the Messiah and the resurrection after three days. Again, the menstrual cycle. Blood, a period of three days, new life. The festival of ishtar! EASTRE, ESTAR, EASTER.